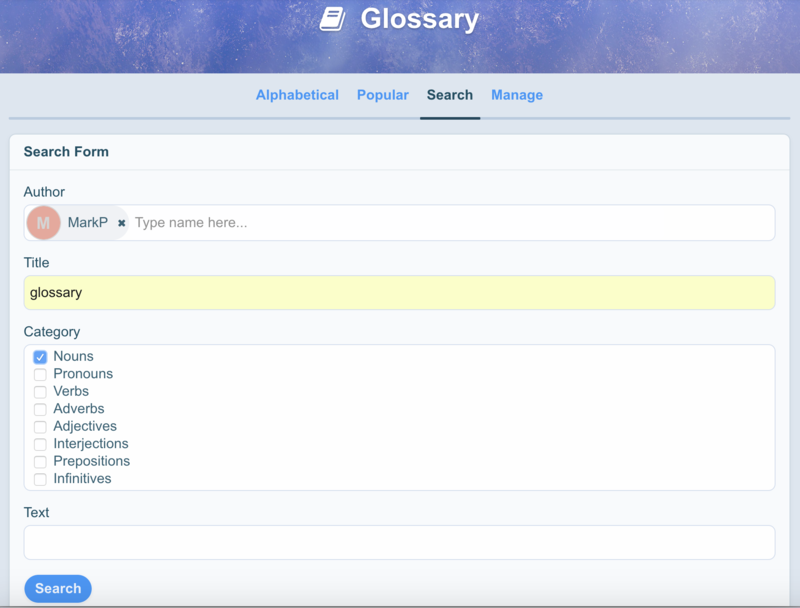 Glossary Module enables you to create a searchable glossary of terms for your site. 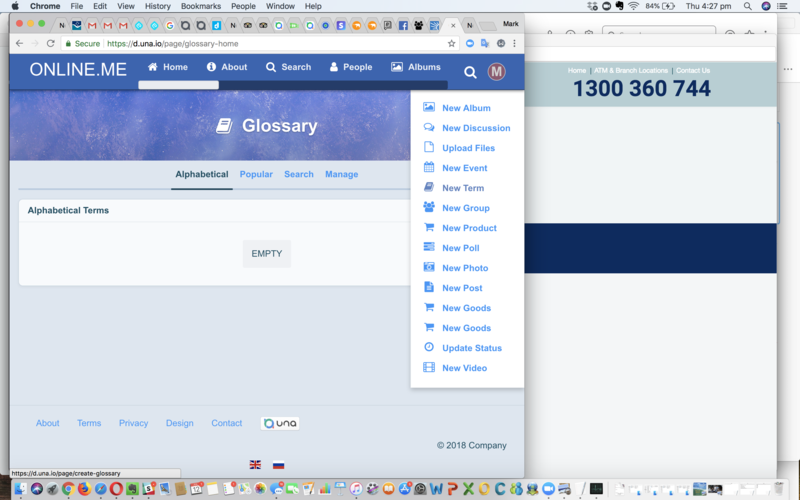 You can create a custom dictionary, definitions or translations. Glossary Module within UNA makes it possible to manage permissions for what levels of users can publish and/or view Glossary terms. With this module you could create your own site built around custom definitions or add the glossary as an embellished function for your site.